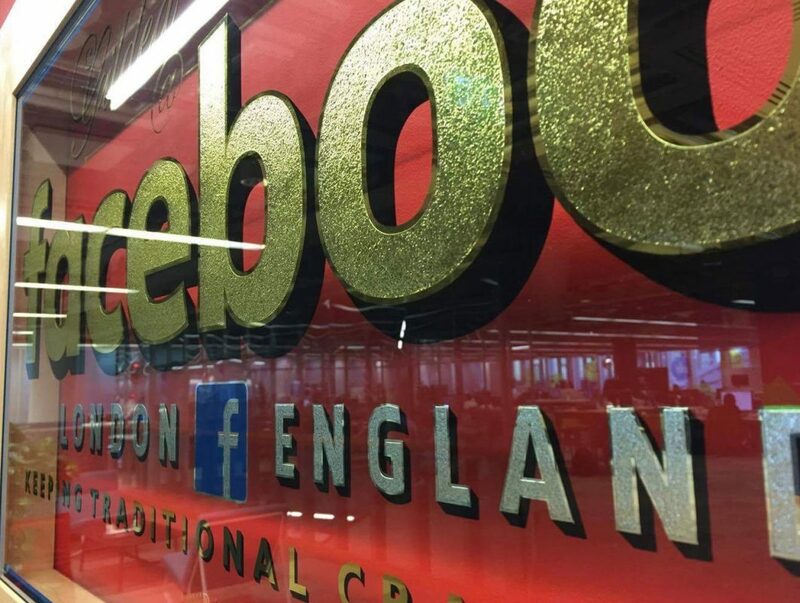 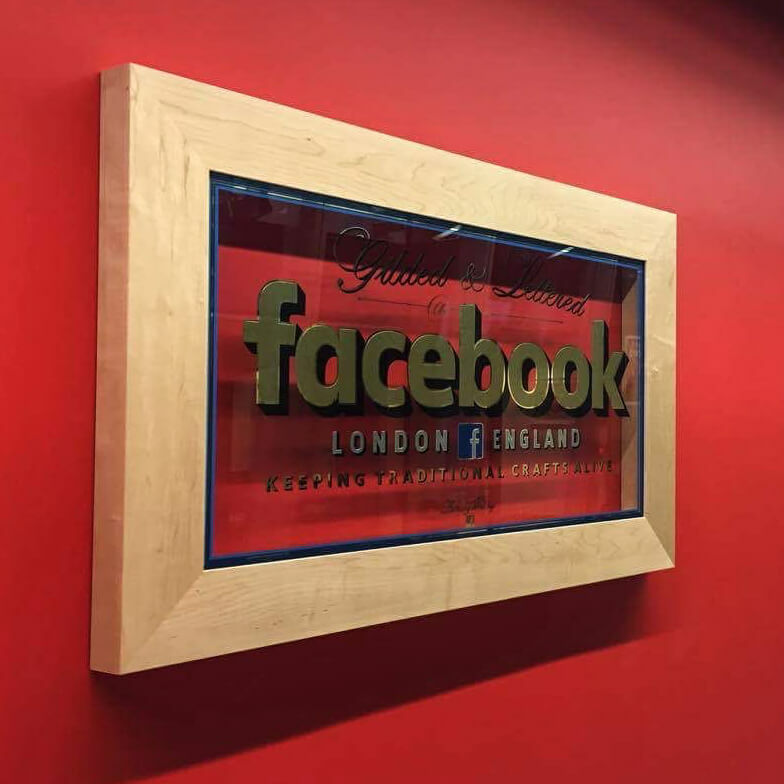 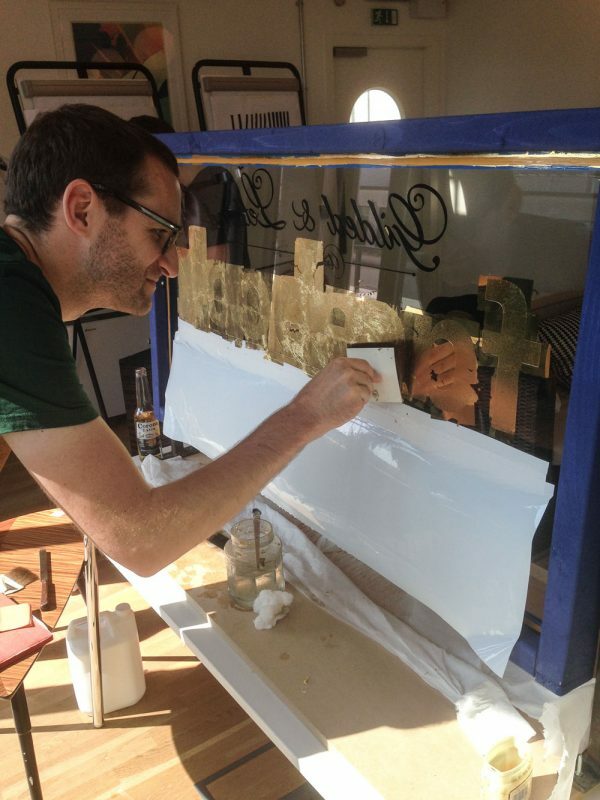 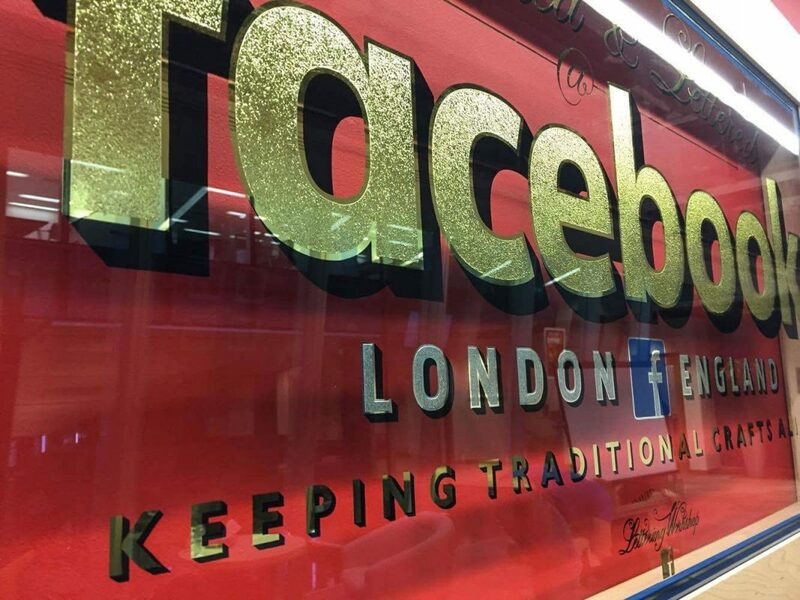 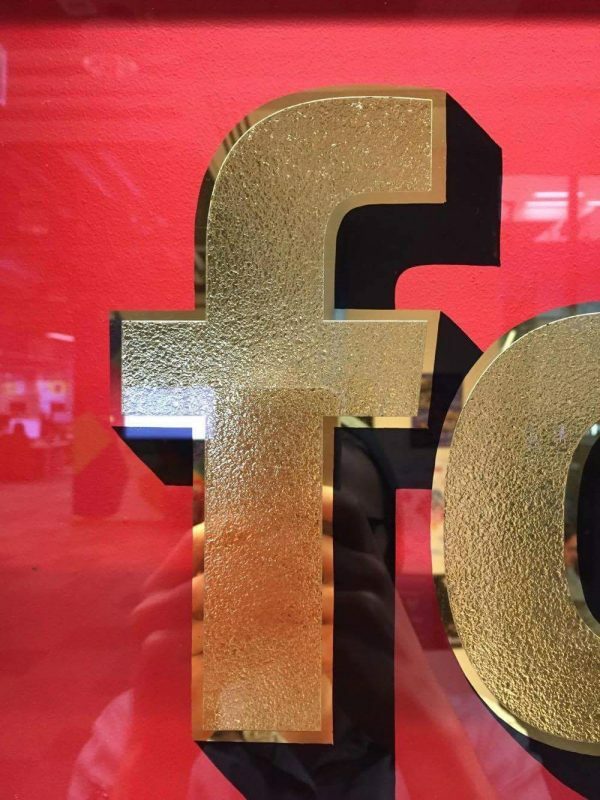 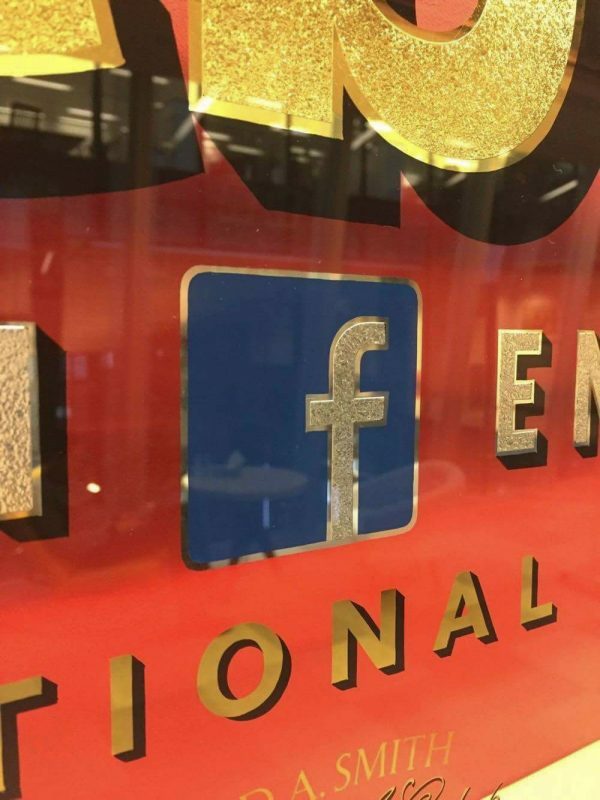 This glass sign was made for Facebook in London in 2015. 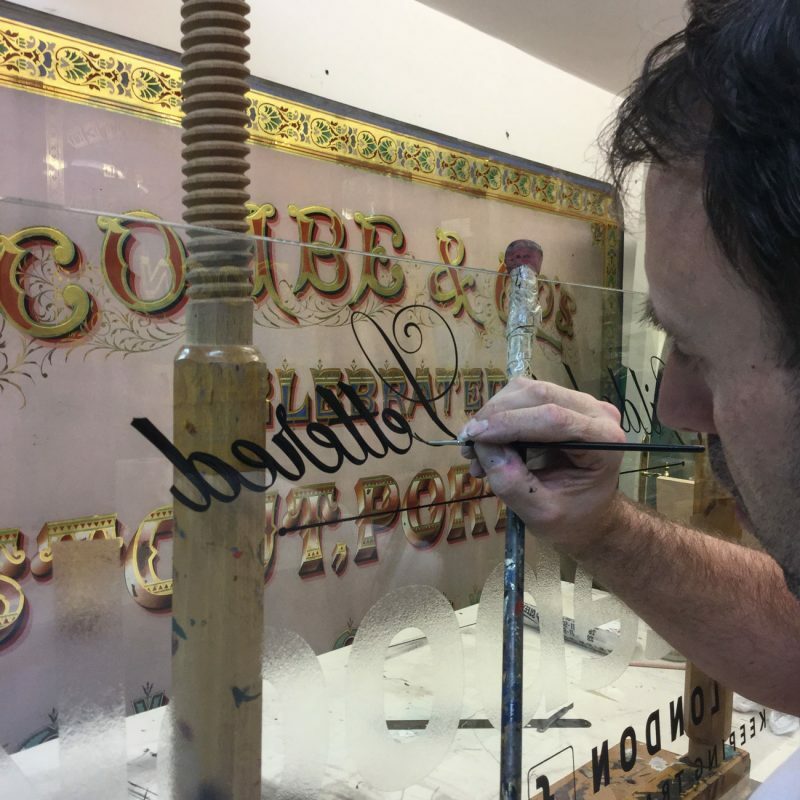 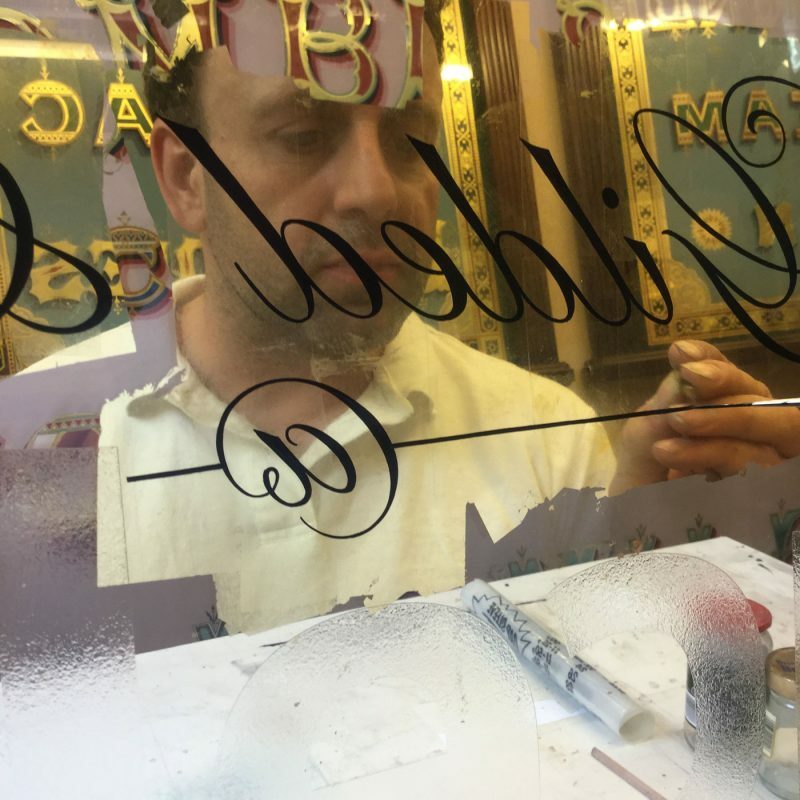 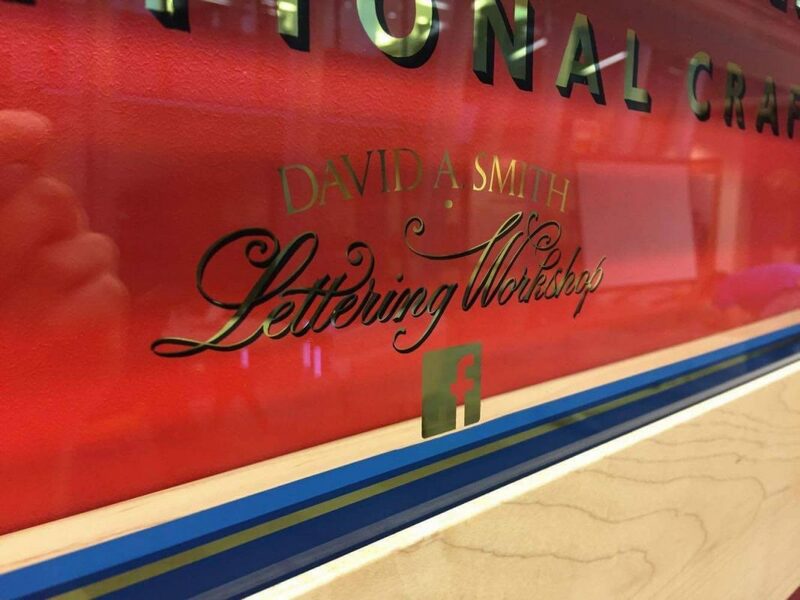 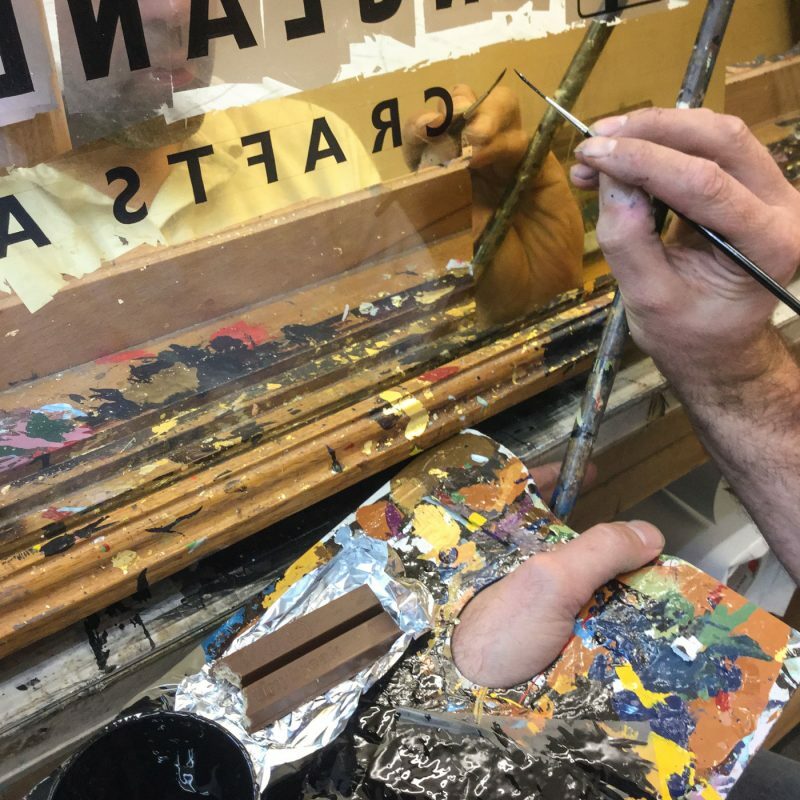 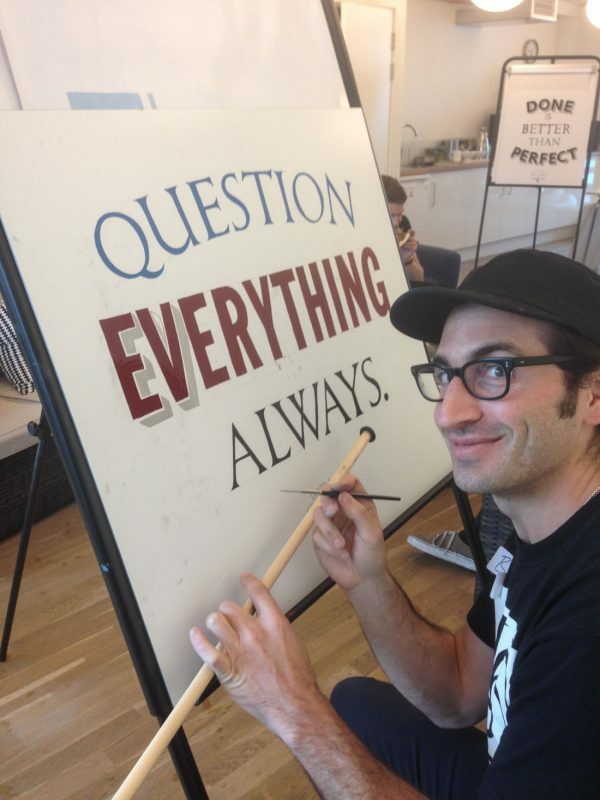 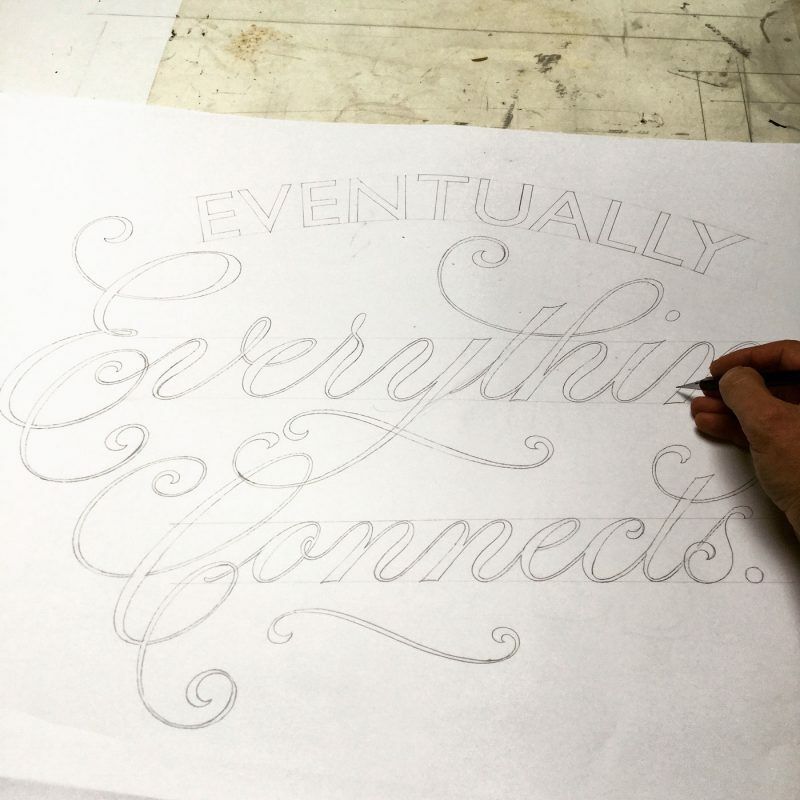 It was part of a workshop that I gave on sign writing and lettering teaching 20 employees how to use lettering brushes and to give them an understanding of hand lettered typography. 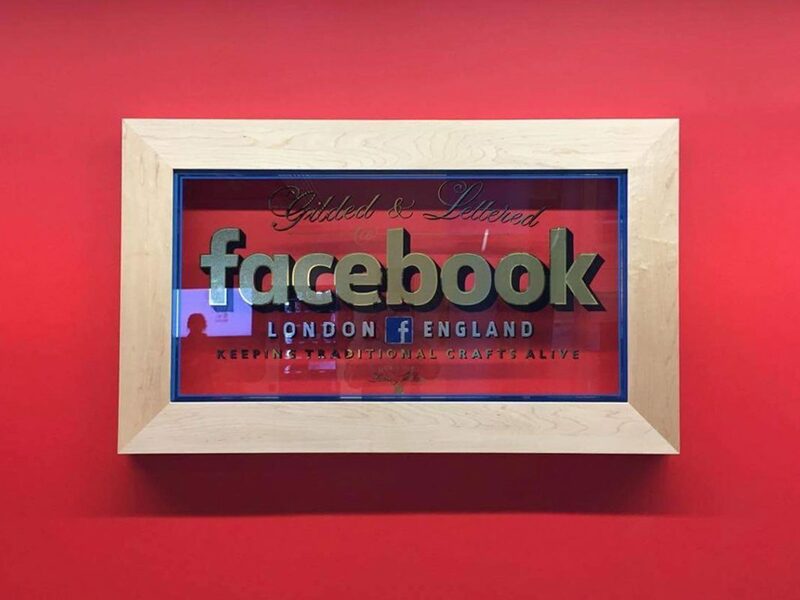 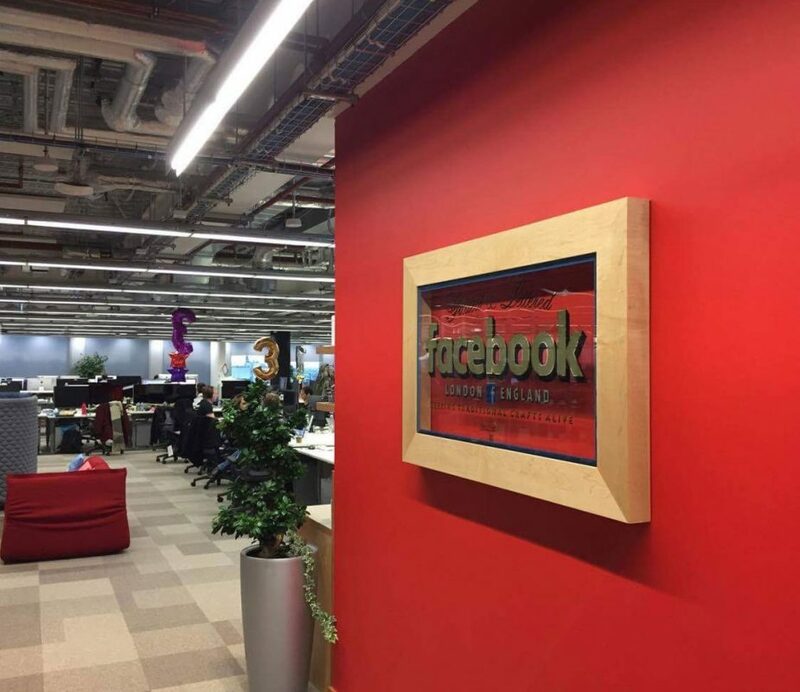 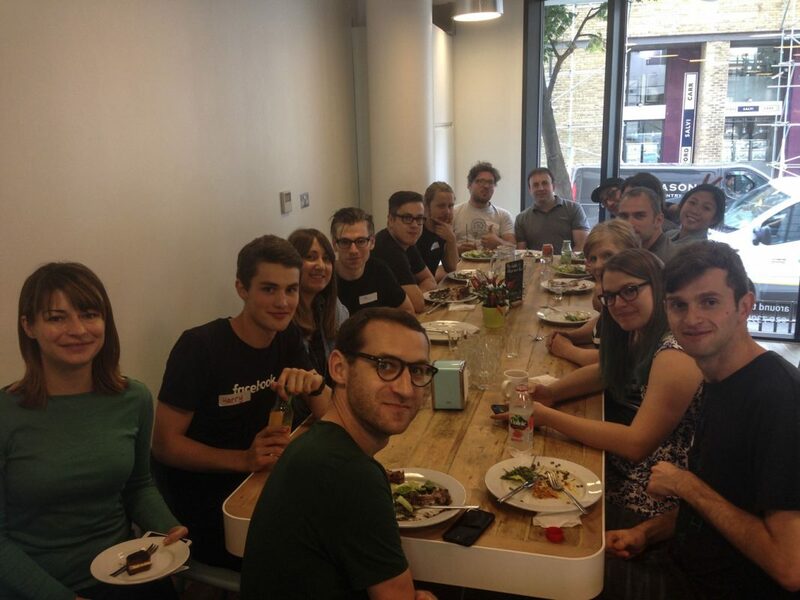 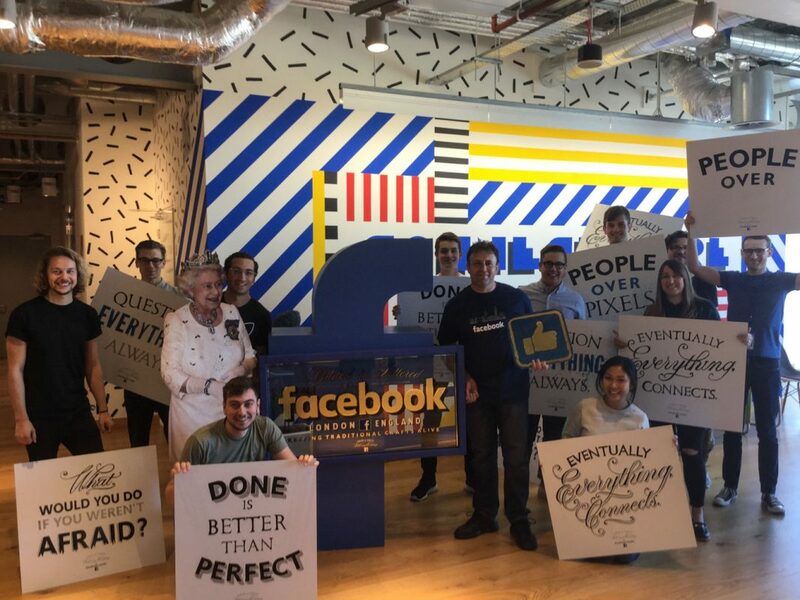 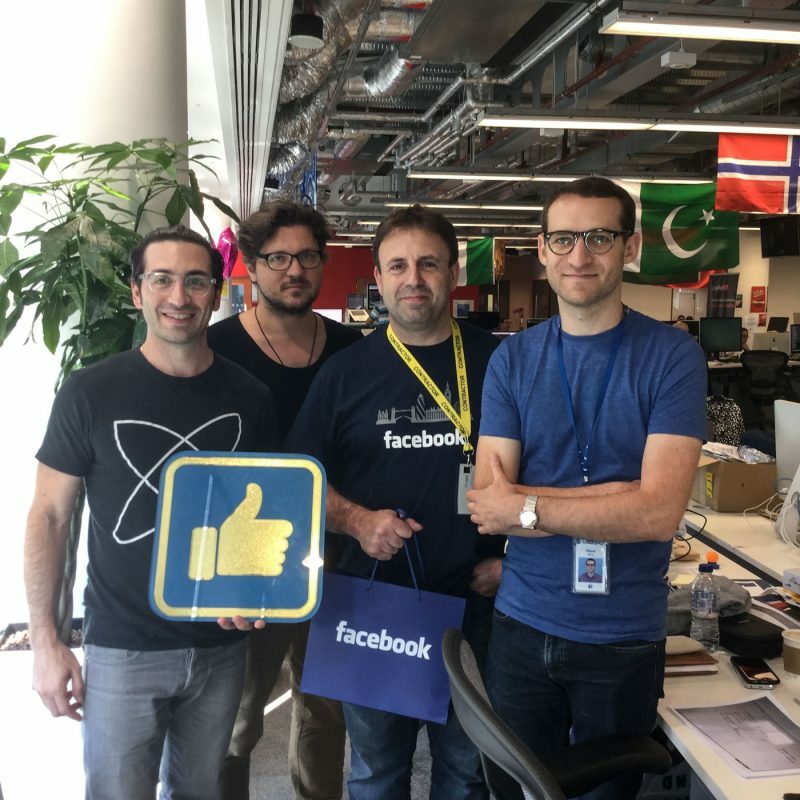 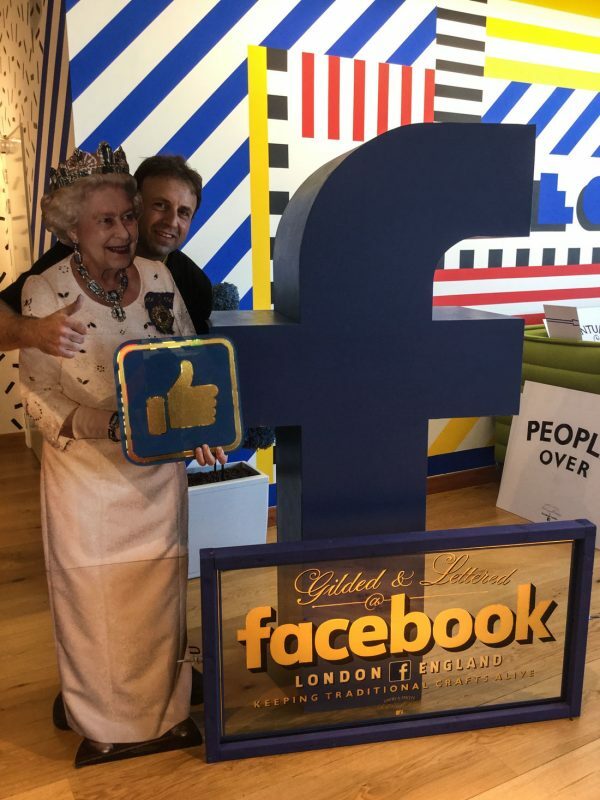 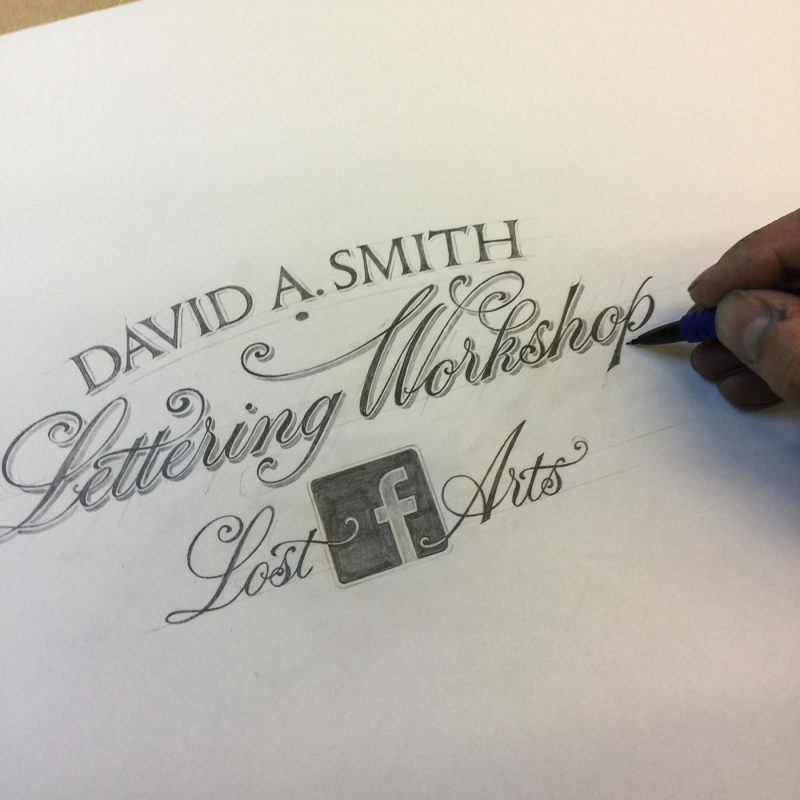 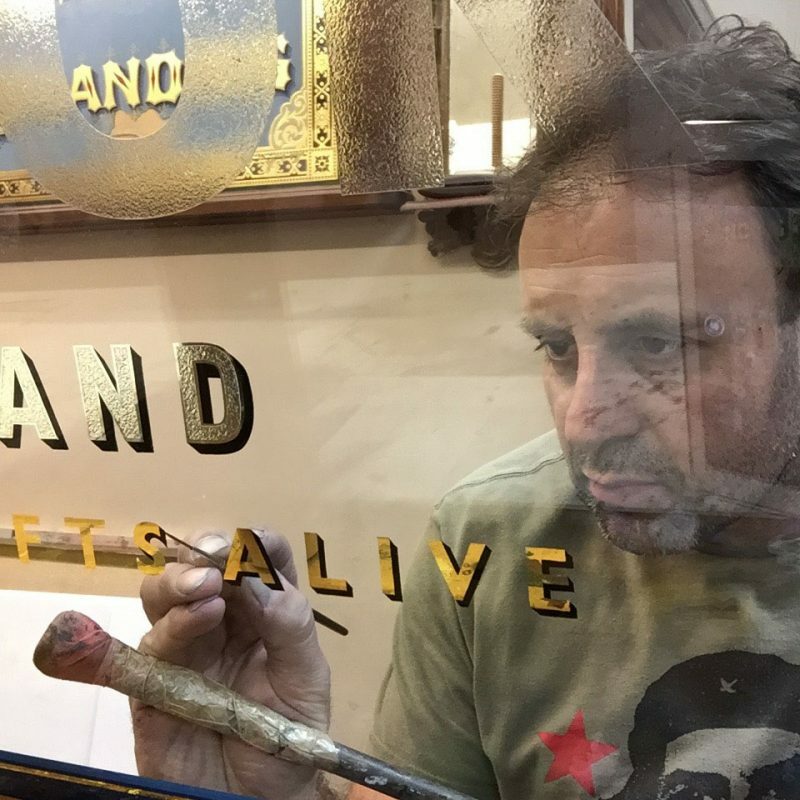 The team at Facebook were interested about the old crafts that were becoming lost arts and asked if I would give a 1 day workshop at the London head quarters. 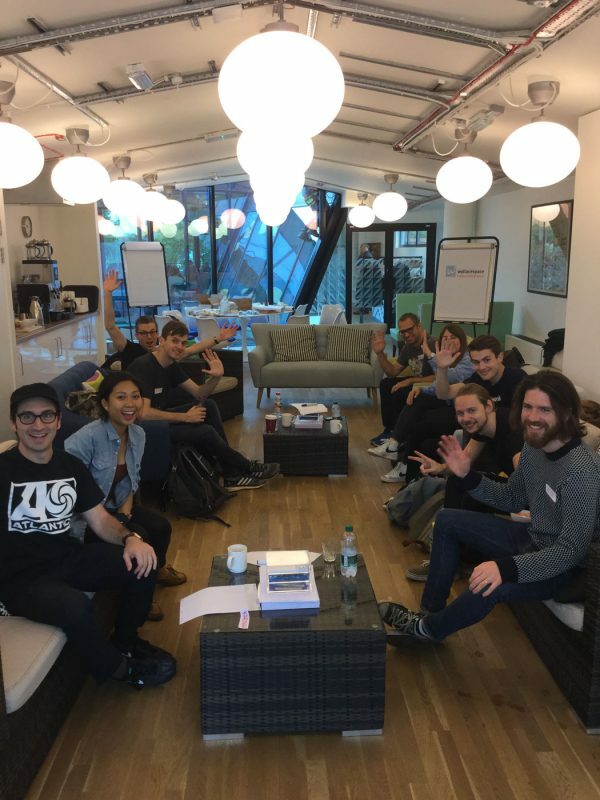 Great fun teaching these guys.